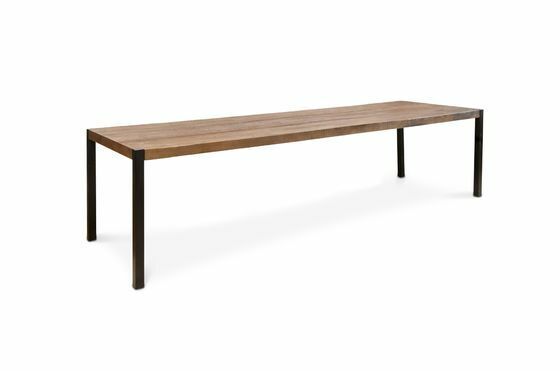 The large Barcelona dining table consists of a plywood panel covered with thick old oak veneer, which reflects a beautiful texture. 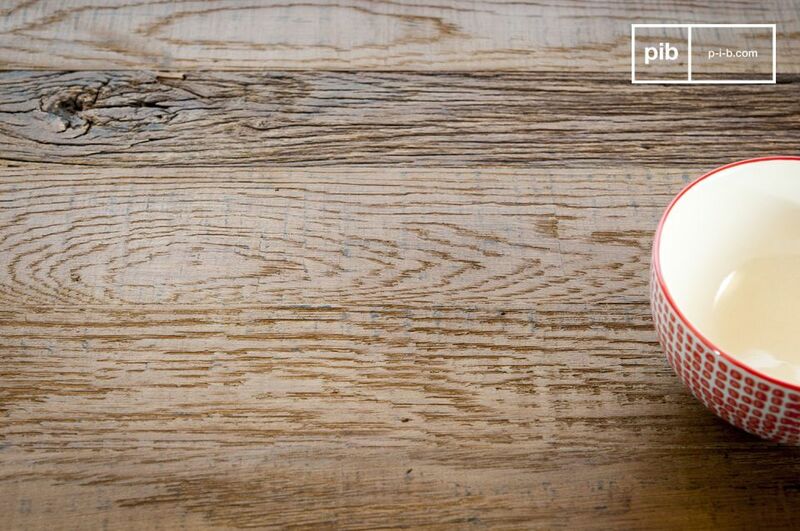 This design guarantees the stability of the table top over the entire length, while giving it this authentic appearance. 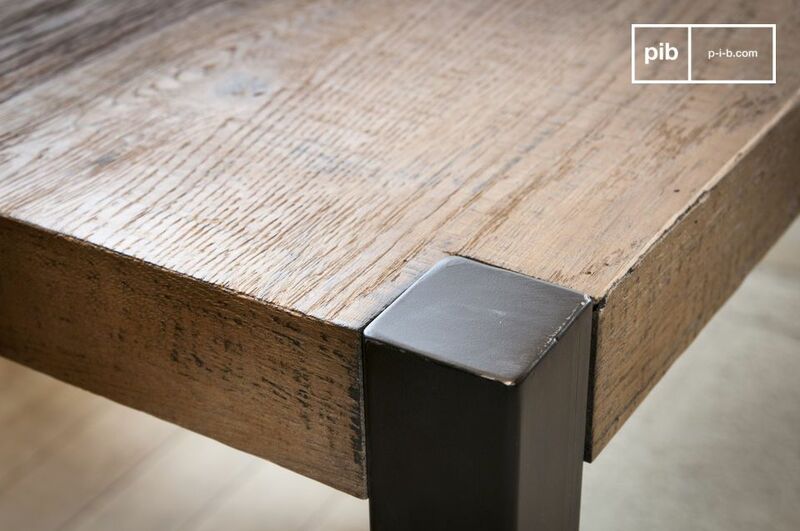 Protected by a matt varnish, it has a pretty patina that gives this dining table his unique look. The platform is fixed on a discreet metal structure, which extends under the entire length of the platform, and guarantees stability and durability at all times. The set rests on four legs of gun barrel grey color. 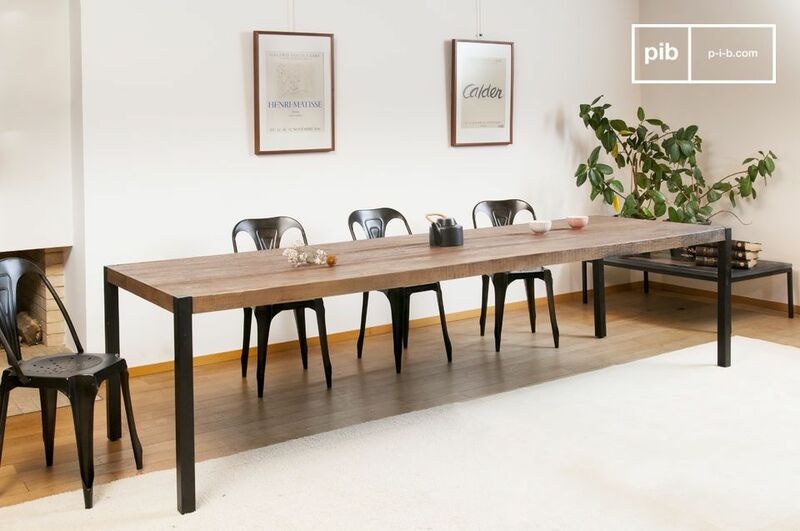 This robust table with its generous dimensions nevertheless offers clean lines. 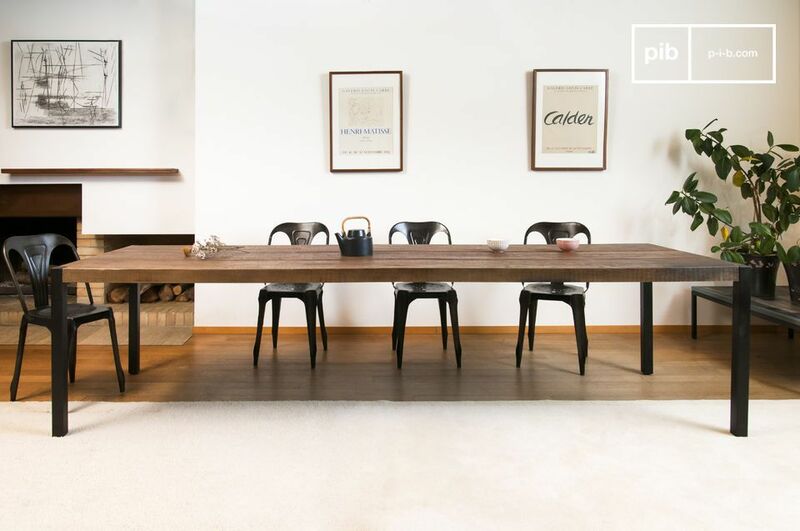 All in length, the Barcelona table can accommodate up to fourteen guests for wonderful moments of conviviality. Its materials and style give it a vintage industrial look that will easily integrate into a classic, even contemporary universe.